Age Scotland is an independent charity working in Scotland dedicated to improving the later lives of everyone on the ageing journey. We support and enable more than 1100 community groups across Scotland, provide information and advice through our free helpline and publications, tackle loneliness and isolation with our Community Connecting Service and much more. We work to influence policy makers and run campaigns to make Scotland the best place in the world to grow older. Will you help us to achieve this by leading a team who will help drive forward our ambitious plans? A new position has been created within our Policy and Communications team to lead on the delivery of a National Dementia Forum. 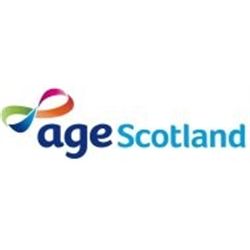 Age Scotland has been awarded a ground-breaking investment from the Life Changes Trust to deliver a National Forum for Dementia Policy and Practice which will support people with dementia and carers to become experts, leaders and influencers in Scotland. The creation of this National Dementia Forum will bring together people with experience and expertise in dementia, locally and nationally, with the aim of evidencing what will create better lives for people with dementia and unpaid carers. The Forum will provide space to scrutinise policy and practice in many areas, including housing and dementia, sport and dementia, the arts and dementia, and human rights and dementia. The Forum will promote evidence of what works well so that national and local policy and practice can be reviewed and, where necessary, adjusted. This is so that Scotland can become an exemplar of how, in all aspects of life, people with dementia can find meaning, be fully supported and involved. The role of Dementia Policy Officer will provide the Forum and it’s sub- groups with technical support and expertise in dementia and related issues. You will monitor, analyse and influence public policy developments which impact on the lives of people affected by dementia in Scotland. This post is funded for 5 years through to 31st March 2024. The Dementia Team Manager will lead the development and delivery of the Dementia Policy and Practice Forum, working with our partners, the Life Changes Trust and School of Leadership. In this role you will be required to have knowledge of issues, services and opportunities for people living with dementia and those who care for them, together with knowledge of practical and policy issues which affect people and their carers in Scotland. We support and enable more than 1100 community groups across Scotland, provide information and advice through our free helpline and publications, tackle loneliness and isolation with our Community Connecting Service and much more. We work to influence policy makers and run campaigns to make Scotland the best place in the world to grow older. Will you help us to achieve this by becoming a member of our team? Support the AS Telephone Advisers as and when required and in the Telephony Manager’s absence. If you are a passionate, enthusiastic and experienced Adviser currently giving welfare rights and benefits advice that wants to take the next opportunity in their career and take on further responsibility as part of a growing team, then this is the opportunity for you. In return, Age Scotland can offer you excellent pay, generous holidays, an employee health care scheme as well as an employee reward programme and a competitive pension. We want to hear from you! If you feel you have the skills, experience and ambition required to fulfil this role, then please apply via our website as detailed below. Later life brings new challenges and opportunities, therefore, we want to develop our 64 information guides, ranging from social security to care rights to Power of Attorney, to give people the information and knowledge they need to access their rights in later life. We know that rights-based workshops can be an accessible way for people to learn about their entitlements, and we want to increase our capacity to deliver these too. We are looking for someone who understands the issues affecting older people in Scotland, who can write jargon-free information for the public, and develop and deliver rights-based workshops. We work with Age UK on their UK-wide guides and with partners in Scotland where we can share expertise. Our free information guides are available on paper and online – they support the work of Age Scotland’s helpline and Community Development teams and are used by Citizens Advice Bureaux, Age Scotland member groups and health and care services. Age Scotland’s Independent Living programme is focused on helping older people remain in their own home for as long as they desire and are able. Our aim is to provide older people with the information, advice and assistance on the key issues that impact older people’s ability to live independently. The Independent Living Development Manager will lead the provision of these services to older people adding new services where appropriate and driving service usage. A substantial part of the role will be to lead Care and Repair Edinburgh delivering valuable services to local older and disabled residents. To succeed in this new and exciting position, you will have recent and substantial experience of successfully managing, developing and delivering a range of services together, with proven experience of leading and supporting teams by inspiring and motivating them to achieve and develop. If you are an enthusiastic, experienced and motivated Manager that wants to be part of a growing team, then this is the opportunity for you. In return, Age Scotland can offer you excellent pay, generous holidays, an employee health care scheme programme and a competitive pension. We want to hear from you! The post will be based in Edinburgh, but you may be expected to travel throughout Scotland and occasionally the wider-UK.